Located in the Cape Flats area of the Western Cape, Khayelitsha is the second-largest black township in South Africa (after Soweto). It’s a 30-kilometer hop from Cape Town city center; and yet, life in Khayelitsha is very different to life at the prosperous heart of the Mother City, where elegant colonial buildings rub shoulders with world-class restaurants and art galleries. 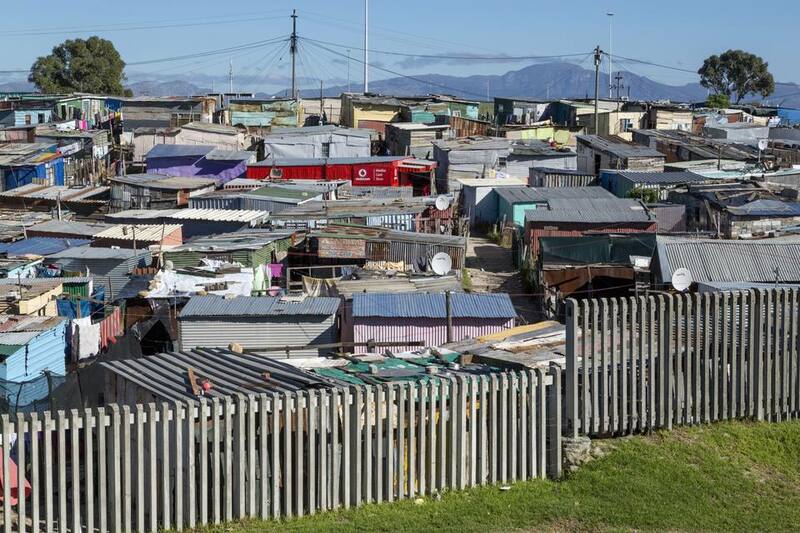 The township, whose name means “new home” in Xhosa, is one of the poorest neighborhoods in the Cape Town area. And yet, despite its problems, Khayelitsha has earned itself a reputation as a hotbed of culture and entrepreneurship. Visitors to Cape Town are increasingly drawn there on guided township tours: here are some of the best options for a meaningful Khayelitsha experience. Before planning a visit to Khayelitsha, it’s important to understand the township’s history. In 1983, the apartheid government announced its decision to re-home legal black residents living in informal settlements on the Cape Peninsula to a new, purpose-built site called Khayelitsha. Ostensibly, the new township was created to provide those living in sub-standard squatter camps with improved formal housing; but in reality, Khayelitsha’s role was to give the government better control over the area’s impoverished black communities by grouping them together in one place. Legal residents were classified as those that had lived on the Cape Peninsula for more than 10 years. Those that didn’t meet that criteria were considered illegal, and many were forcibly repatriated to the Transkei, one of several black homelands created during the apartheid regime. When apartheid ended, people living in the homelands could once again move freely throughout South Africa. Many of those that had been removed from the Western Cape decided to return, along with countless migrants who flocked to Cape Town in search of work. These migrants arrived with nothing, and many of them erected makeshift shacks on the edges of Khayelitsha. By 1995, the township had expanded to accommodate over half a million people. Today, over two million people call Khayelitsha home, earning it its status as the fastest-growing township in South Africa. Poverty is still a crippling issue, with 70% of the township’s residents living in informal shacks, and a third having to walk 200 meters or more to access clean water. Crime and unemployment rates are high. However, Khayelitsha is also a neighborhood on the rise. New brick houses are being built, and residents now have access to schools, clinics and an incredible array of social development projects (including a canoe club and a cycle club). The township also has its own central business district. It is known for its entrepreneurial grassroots restaurateurs and hoteliers, and even has its very own artisan coffee shop. Township tours offer visitors the chance to explore Khayelitsha’s unique culture - to try authentic African cuisine, to listen to traditional music and to share experiences with the people at the heart of the country’s political issues. Local operators run tours that keep visitors safe while also allowing them to interact with Khayelitsha’s residents in a way that’s both respectful and meaningful. The most popular way to explore Khayelitsha is on a dedicated half-day tour. Nomvuyo’s Tours receives rave reviews on TripAdvisor, thanks in large part to tour guide Jenny’s decision to keep group sizes small. The tours are conducted in Jenny’s own car, and are kept to a maximum of four people - giving you the chance to ask all the questions you like. They’re also private, which means that the tour can be tailored slightly to your specific interests. Tours typically last for around four hours, and can be booked for the morning or the afternoon. Jenny has incredible knowledge of the township and its people, with residents greeting her (and by extension, you) as a friend. Although itineraries vary from tour to tour, you can expect to visit a Khayelitsha nursery school, and craft stalls where you can support local artisans by stocking up on authentic souvenirs. Other stops include local corner shops, food stalls and pubs (known as shebeens), where you can share a beer with the locals or swap stories over a game of pool. Jenny also takes you into different types of home, all the while offering fascinating insights into the township’s past, present and future. If you’re looking for something a little different, there are a number of specialty tours to choose from. Ubuntu Khayelitsha on Bikes, for example, offers half-day cycle tours for up to 10 people, guided by trained Khayelitsha residents. Tours include visits to local families in their homes, a trip to the Khayelitsha Museum and a stop at Lookout Hill (the highest point in the township, known for its impressive views). A highlight of this tour is the chance to listen to a traditional musical performance by the Africa Jam Art Group. Many people find that exploring by bike rather than by car is a great way to reduce the cultural barrier and enjoy a more immersive experience. Other unique experiences include the Gospel Tour operated by Imzu Tours, which allows you to join a Sunday church service before eating lunch with a local family. Hajo Tours offers half-day, full-day and evening township tours, which end with a traditional home-cooked meal. For tailor-made tours, try Juma’s Tours. Juma specializes in Woodstock art tours, but can also arrange excursions to Khayelitsha with creative focuses including street art, cooking classes and gardening projects. Or, stay overnight in the township. There are a number of reputable B&Bs to choose from, all of which give you the chance to sample local food and engage in insightful conversations with the guesthouse owners. One of the best options is Kopanong B&B. Named for the Sesotho word meaning “meeting place,” Kopanong is owned by Khayelitsha resident and registered tour guide Thope Lekau, who decided to open a B&B so that visitors could interact with the township people rather than simply photographing them from behind minibus windows. Her B&B offers three double guest rooms, two of which are ensuite. The communal sitting room is a great place to meet other travelers, while the covered terrace is a popular lunch spot for passing tours. Your room rate includes a generous breakfast of continental and African staples, while a traditional dinner can be arranged in advance. Other services offered by Lekau and her daughter include walking tours, airport pick-ups and secure off-street parking (essential if you’re traveling to Khayelitsha via rental car).